These Homemade Egg Face Pack Recipes Will Make Your Skin Flawless! When it comes to taking the best care of your facial skin, expensive parlor treatments are not the one and only choice. Just peep into your kitchen and you may come across some simple yet powerful natural ingredients that can give your skin a total makeover. Adding to the list of products from the kitchen that have answers to most of your beauty problems, we bring to you eggs today. The humble ingredient is not only a nutrition powerhouse but also a skin-boosting wonder. If a fair and youthful complexion is what you wish to have, trying egg face pack can help you a lot. Know some highly effective homemade egg face pack recipes that can give you a healthy and beautiful skin naturally. Eggs are a great source of protein and healthy fats, which help in moisturizing the skin and giving it a wonderful glow. They are rich in antioxidants, which help in rejuvenating the skin and reducing the puffiness under the eyes. They protect our skin from free radical damage, thereby eliminating signs of aging and maintaining skin elasticity. The egg whites help clear out excess oil from the face, which keeps acne, pimples, and other breakouts away. Being a natural astringent, they help unclog pores and tighten up the skin in order to give us a toned and youthful look. An egg in itself can make for a great face pack. However, you can also combine it with other skin-friendly kitchen ingredients to make richer packs that will make your skin glow. Take the white of an egg and keep whisking until it foams up well. Apply this as a pack onto your cleansed skin and leave for 20 minutes. Once it becomes almost dry, wash off with lukewarm water. Egg white is an excellent remedy for making the skin tighter, firmer and well-toned. Moreover, your skin will feel smooth, supple, and rejuvenated instantly. Applying it under the eyes will also give you relief from puffiness. Applying an egg white face pack right before a party can give you a flawless complexion and a perfect makeup base. If you have large open pores on your forehead, nose, or cheeks, this egg pack will give you amazing results. Take a teaspoonful of fresh cucumber juice and mix it nicely with the white portion of an egg. Apply the mixture all over your facial skin, focusing on the pores. Allow it to dry and then, rinse off with plain water. This will shrink and tighten your pores and add a freshness to your appearance instantly. Adding a few drops of witch hazel to this pack will give you even greater effects. 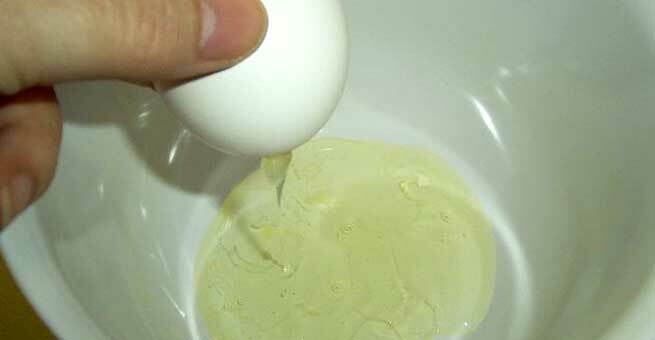 You can prepare a brilliant anti-aging face pack by using the humble egg and keep premature aging at bay. All you need to do is combine raw milk and some finely grated carrot with an egg white and apply it thoroughly to your cleansed skin. Wash it off after 15-20 minutes and you will be surprised to reveal a rejuvenated complexion. However, you must use this pack at least twice every week to keep up your youthful radiance. Have you already started developing wrinkles, fine lines, and other signs of aging? Beat the white portion of an egg nicely and mix one teaspoon each of almond oil and freshly squeezed lemon juice with it. Give the whole thing a good whisk and apply to your face evenly. Once it dries, wipe it off with a wet washcloth and splash the skin with cold water. Your skin will get conditioned and your wrinkles will be smoothed out. While treating a dry and dehydrated skin, consider the egg yolk as your savior. Prepare a deeply nourishing face pack by blending a yolk with equal amounts of olive oil and raw honey. Slather it all over your facial skin and wait until dries completely. Then, rinse properly with tepid water. This is an amazing natural way to make the skin soft, supple, and smooth by adding a significant dose of moisture to it. Regular use of this pack will also make your skin vibrant and flawless. Beat an egg white and add a teaspoonful of Fuller’s earth to it. Keep blending until you get a thick, smooth, and lump-free paste. Apply it uniformly to your face with the help of a brush. It will dry within half an hour. Then, wash off with lukewarm water. Both egg white and Fuller’s earth are capable of absorbing excess oil from the skin, which makes this pack highly suitable for oily, acne-prone skin. Make sure to use it twice weekly to deep cleanse your skin and steer clear of acne and breakouts. Not only pimples but also blackheads can be eliminated with an egg face pack. Take an egg white in a small mixing bowl and add one teaspoonful of fresh cucumber juice and half teaspoonful of neem powder to it. Mix well to form a smooth paste and apply to the cleansed face. After 20 minutes, rinse with plain water and you will get a fresh, glowing skin with less appearance of blemishes. 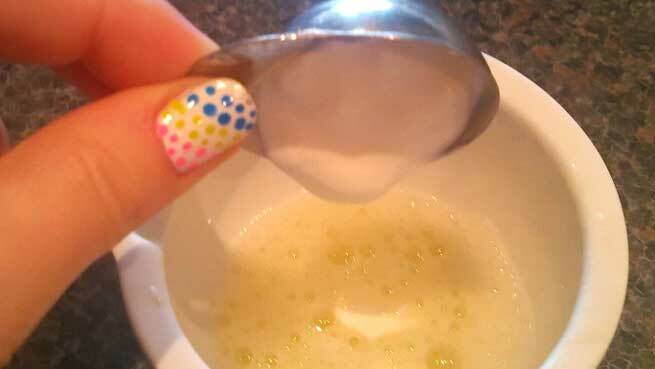 Applying a mixture of whisked egg whites with either honey or yogurt is a great way to relieve the skin of sunburns. The egg and yogurt mixture also helps lighten the skin tone and remove any tan from the skin. With the help of a fork, blend two egg whites with two tablespoons of olive oil and two teaspoons of freshly squeezed lemon juice. Refrigerate the mixture and let it set for half an hour. Now, cleanse your skin with a cotton ball soaked in rosewater and apply a thin layer of the pack by using a brush. It will take 5-6 minutes to dry and then, you need to apply another layer over it. Once the entire pack dries, remove it by pulling it off in the upward direction. Also, rinse with cold water and apply your favorite moisturizer immediately. This magical pack will give you a naturally luminous skin by boosting blood flow throughout it. It will also brighten up your complexion by eliminating sun tan, evening out your skin tone, and inducing enough moisture into your cells. Getting a healthy, glowing, and problem-free skin is easy, right?